Let’s first start by explaining the purpose of a gas furnace and why you should have one. The gas furnace is responsible for taking cold air in, then the air goes through an air filter to be cleaned, after that the air gets heated up with a gas burner that uses a stainless steel heat exchanger, once the air has reached the optimum temperature it get distributed by means of the blower motor throughout your home via the air ducts or vents. Once the heated air has cooled down in the various rooms in your home, it will return to the gas furnace through the return ducts or vents. The returned air will go back through the air filter and complete another cycle of heating. Before you decide on a brand and choose an installer you should learn the difference between single-stage, two-stage and three-stage variable speed furnaces. You should know what AFUE stands for and you should have narrowed your choice down to three or four different brands. Some of the most reliable and trusted gas furnace brands are Rheem Ruud, Goodman, and Trane. If you choose a Trane gas furnace you can pick their high efficiency gas furnace heaters with an AFUE of 96.7% or a standard high efficiency unit with an AFUE of 90%. AFUE stands for Annual Fuel Utilization Efficiency and the US Department of Energy insists that every manufacturer use this standard of measurement. This measurement measures the actual season-long efficiency for a particular gas furnace. Older gas furnaces, those between 18 and 20 years old had AFUE values of about 65%. This means that today’s high efficiency gas furnaces can save you a lot of money over time, but not every homeowner needs to spend the extra money for a high efficiency unit. Experts have determined that the biggest jump in efficiency is with units between 80% AFUE and 90% AFUE. So, it may not be cost efficient for you to purchase a unit with 95% or greater AFUE. If your home is in an area of the country with a moderate to mild climate, most experts agree that you don’t need anything greater than 80% AFUE. At this point you’ve only started doing your homework. Most troubleshooting gas furnace problems are brought on by incorrect installation. Make sure you talk with and get at least three different estimates when it comes to installing gas furnace heaters. Another great idea would be to get references from the considered installers. Talk with family and friends. Call your local better business bureau. 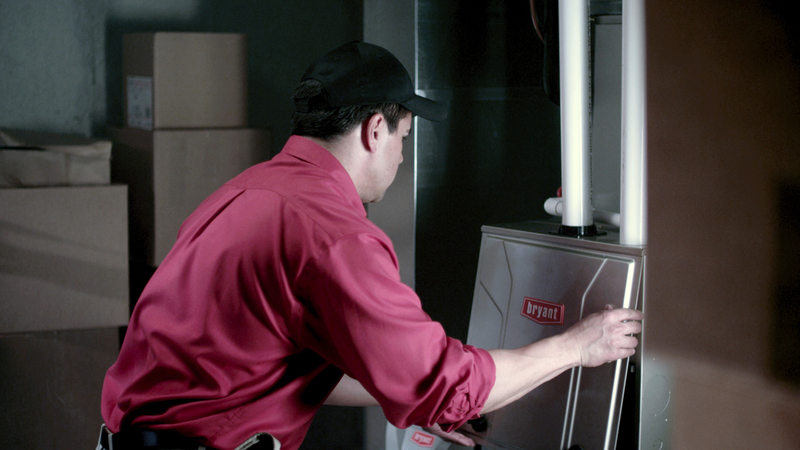 It’s estimated that over 80% of gas furnace problems are due to installation. 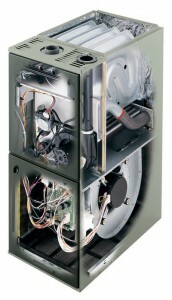 Installing the correct size gas furnace is also very important as it has additional benefits such as: noise reduction due to reduced airflow, reduced energy consumption, increase in combustion safety due to a decreased risk of depressurization, and an increase in personal comfort due to the consistent gas furnace output rate obtained by longer run times. Make sure the installer checks the existing ductwork in your home. Older ductwork may be rusted, and seams may be split, which means that heat can leak out. The ducts should also be sealed correctly, in some cases even back drafting can occur, therefore it is highly important that the ductwork be sealed and inspected in accordance with the gas furnace installed. It’s estimated that faulty ductwork can cost the average homeowner up to 30% in energy costs, which means your new efficient unit may run efficiently, but you won’t see any cost savings.No matter which manufacturer you choose, Trane, Lennox, Rheem Rudd, Goodman gas furnaces or any other, the way to guarantee you get the best gas furnace heaters for your money is to read and be informed before you make your decision. Gas furnaces that have achieved the Energy Star rating entails that the product has met strict energy efficient guidelines which has been set by the US Environmental Protection Agency (U.S. EPA). When purchasing a gas furnace with the Energy Star logo you can be assured of a high quality gas furnace that will save you energy therefore saving you on your utility bills. Energy Star approved gas furnace emit less greenhouse gasses which offers less damage to the environment. Gas furnaces need to have an annual fuel utilization efficiency (AFUE) rating of 90% or higher to qualify, this will make them up to 15% more efficient that standard gas furnaces. The AFUE is the measurement of fuel that is converted to heat in proportion to the fuel entering the gas furnace heaters. They also need to have an highly efficient blower motor which contributes to the better functioning of the gas furnace. 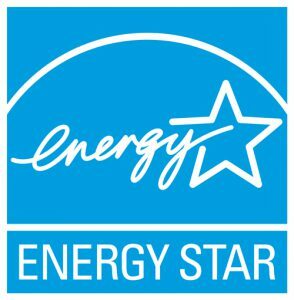 These Energy Star specifications are intended for gas furnaces that are used in residential homes. When properly installed, consumers can expect to save around 10% – 40% on their gas furnace bills, the high standards of the Energy Star ratings ensure that the gas furnace is highly efficient. More efficient gas furnaces don’t need to operate as long to obtain the required heat, therefore the presence of flames is reduced, making it less fire hazardous. This fact has also been noted by many insurance as an improved fire safety benefit. Improved air quality due to the combusted air being exhausted therefore from the home, this will also contribute to better health conditions due to clean air. 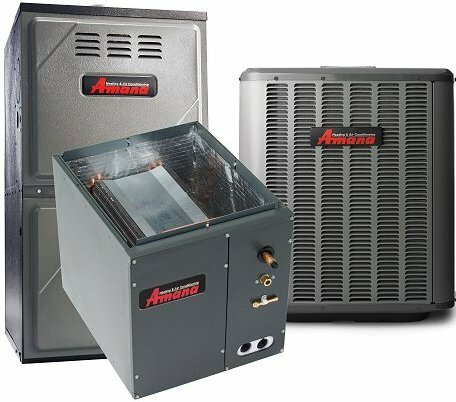 Efficient gas furnace heaters cycle on and off less often, therefore providing improved comfort, they also have improved controls which allows you to obtain the perfect temperatures throughout the home with minimal effort. Download the appropriate application for the rebate. Have your qualified gas furnace installed. Mail in your fully completed rebate application form.